Busi Mahontsi is currently employed by Sonke Gender Justice as the Office Administrator. Before her new post, she was a Finance Officer from 2007 – 2009. Busi comes to Sonke with a wealth of accounting skills acquired across a wide range of demanding roles. 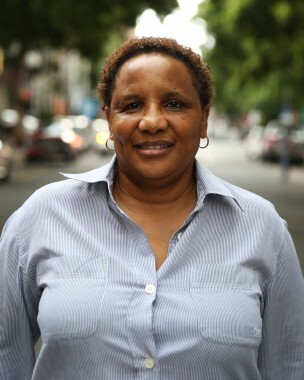 Busi has over 20 years experience within the NGO and finance sectors. Before joining Sonke she worked for the Institute for Contextual Theology (ICT) where she started as an administrator and worked her way up to the position of bookkeeper. She then moved to Centre for the Study of Violence and Reconciliation (CSVR) where she was employed as the Finance Cashbook Officer. Busi has a diploma in financial accounting from UNISA.